Busy Massachusetts and Rhode Island highways like Interstate-195 through New Bedford, Fall River, Seekonk to Providence, or Route 24 up through Taunton, Raynham and Bridgewater see a great deal of commercial vehicle traffic year round. Big rigs and other trucks rush to and from various cities and towns delivering goods, trying to make quotas. 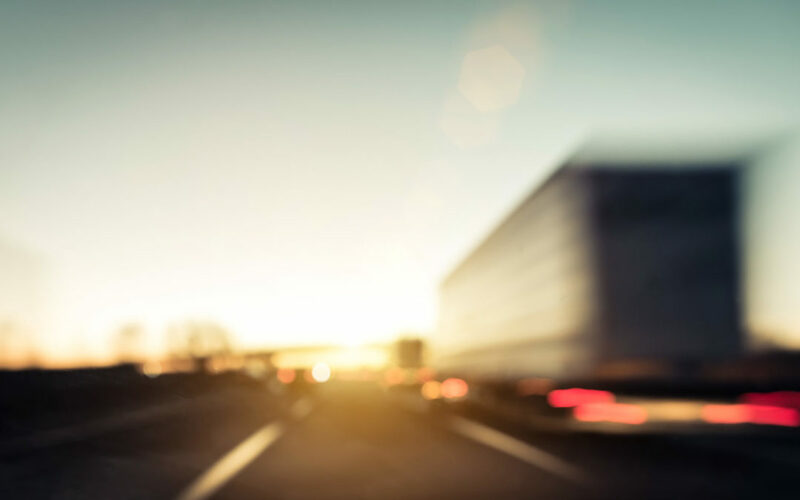 Occasionally, factors like distracted driving and drowsy driving lead to commercial truck accidents which in many cases leave the drivers of smaller vehicles with catastrophic personal injury and accidental death. So, who is responsible to pay for your medical bills, totaled car and other damages after a truck accident. Is a Company Liable for An Accident Caused By One Of Its Truck Drivers? In a personal injury claim regarding a commercial truck accident, it first must be determined whether the truck driver is an employee of a company, or they were operating as an independent contractor. A company is generally not liable for wrongful acts committed by independent contractors. A truck driver who is an independent contractor would be using their own truck and assume responsibility for all repairs, upkeep, and therefore would have their own liability insurance. In the case that the company did employ the driver and was the owner of the truck/equipment, the liability would likely fall on the company. The underlying principle of liability that holds a company responsible for a car accident caused by a truck driver employee is referred to as respondeat superior. This is a Latin phrase that means “let the superior make answer.” Under this principle, the company which employs the driver can be held liable for the wrongful acts committed by its employee, provided the acts were both unintentional and committed within the scope of their duties on the job. This means that the truck driver’s liability may attributed to their employer, making the employer liable as if they had committed the wrongful act themselves. Many factors go into determining liability in a commercial and truck accident claim in Massachusetts and Rhode Island. Regardless of whether or not the fault driver was an independent contractor or an employee of a company, one of Dussault & Zatir’s experienced truck accident attorneys will be glad to speak with you about the details surrounding your claim and determine how best to get you compensation for your injuries and losses. Being involved in a truck accident can be a life-changing and sometimes fatal event. It’s always a good idea to drive defensively around trucks on the highway. There are a number of factors which can contribute to commercial vehicle accidents. Let’s look at a few of them. Distracted Driving – Distracted driving is the leading cause of truck accidents in Massachusetts and Rhode Island. For many truckers, sitting in the cab and driving their eighteen-wheeler for hours on end begins to feel like second nature, so when boredom sets in the temptation to multitask, look at social media and text messaging arise. Drowsy Driving / Trucker Fatigue – Though there are federal regulations which limit the amount of time a commercial truck driver can log driving per week, truck drivers who burn the candle at both ends are likely to become drowsy behind the wheel. Scheduled routes often include hundreds, sometimes thousands of miles, and this can wear on even the most experienced drivers. Drowsy driving can be just as dangerous as drunk driving. Speeding Truck Drivers – The trucking world is a world of traffic and deadlines, so it’s no surprise that truck drivers are tempted to speed. This is very dangerous with truckers since the vehicle they’re driving can weigh 20 times more than the average passenger vehicle. When a big rig is speeding it may not be able to slow down or react suddenly to another vehicle in its path. If you or a family member have been left with injuries after a truck accident caused by the negligence of a truck driver, please contact us to speak with an experienced attorney. Dussault & Zatir P.C. has lawyers on call at +1-800-542-4LAW to answer your personal injury questions. With offices in New Bedford, Fall River and Taunton, Massachusetts, as well as an office in Providence, Rhode Island, if you’ve been injured, our lawyers are here to fight for you.